Set of 2 Lanterns (Candles Not Included). Indoor/Outdoor Safe. Black Finished Metal and Clear Glass. 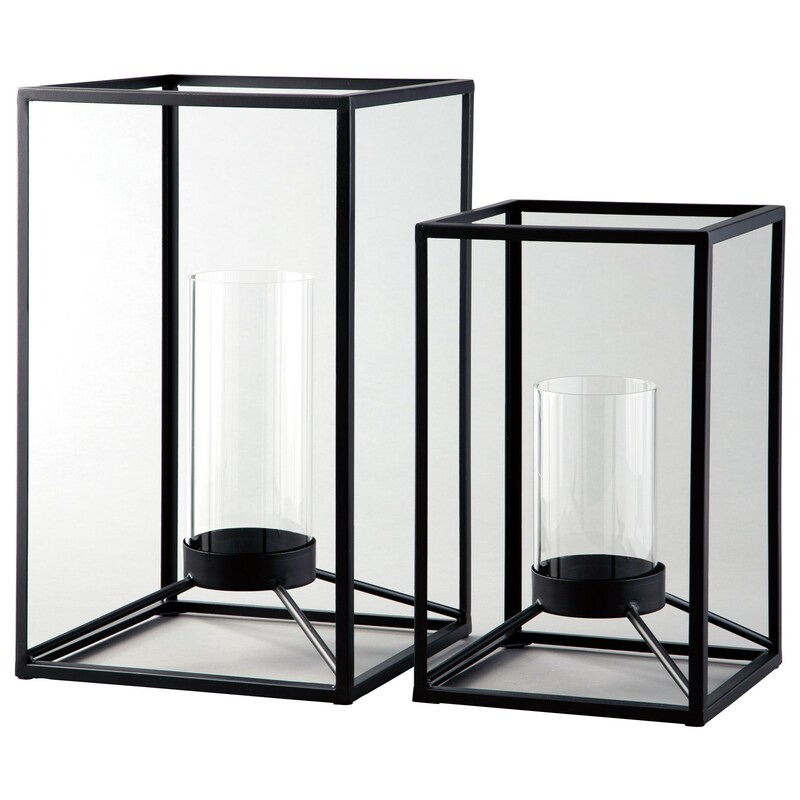 Lantern-large 11.00" x 11.00" x 19.00"
Lantern-small 9.00" x 9.00" x 15.00"
The Accents Dimtrois Black Indoor/Outdoor Lantern Set by Signature Design by Ashley at Royal Furniture in the Memphis, Nashville, Jackson, Birmingham area. Product availability may vary. Contact us for the most current availability on this product.